Hugh Dennis is currently starring in BBC 2’s hit topical panel show Mock the Week, and BBC1’s hit sit-com Outnumbered, Hugh also writes and presents Radio 4’s award winning comedy The Now Show (currently in its 27th series). Hugh Dennis began his performing career in 1985, as one half of double act “Punt and Dennis”. Most recently Hugh and Steve Punt have toured their live show STUFF AND NONSENSE around the UK. Hugh gained his degree from St John’s College, Cambridge University. 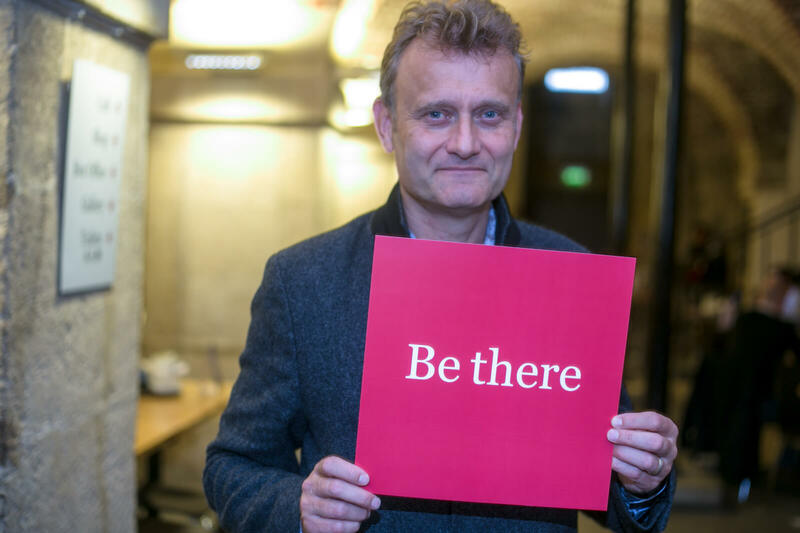 Hugh Dennis showing his support for the 2014 Christmas Appeal.